As America’s population ages, the need for homecare workers increases as well. FIJ and Schuster Institute Fellow Linda Matchan investigated this burgeoning industry in Massachusetts and found both a shortage of people willing to work in these low paying jobs, as well as a lack of oversight of the people taking care of the state’s elderly and homebound. Matchan covers the issue in two stories for the Boston Globe. In the first, she documents the neglect and abuse that some patients suffer at the hands of criminal homecare workers. In the second story, she follows a Ghanaian woman who is part of a coterie of foreign workers who help fill the gap in home healthcare needs. 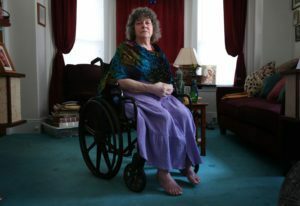 Additionally, in an interview with radio station WBUR, Matchan describes the reporting, as well as her own story of looking for a home healthcare worker.